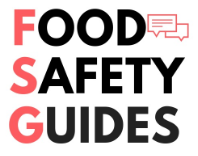 To request a change or deletion of Personal Information, please contact us at info@foodsafetyguides.com or submit a new form. You may unsubscribe from mailing lists or any registrations on the website. To do so, please use the unsubscribe link at the bottom of the email you have received or contact us at info@foodsafetyguides.com.